Want to be RICH? We want to help! This is our standard compensation plan that ALL affiliates qualify for, even those who are still in their free trial period. 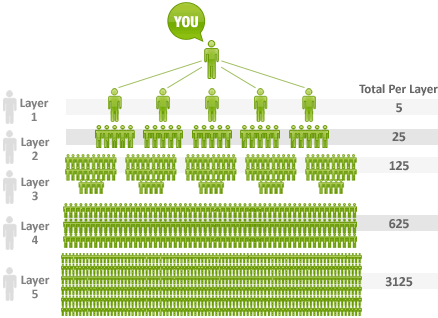 Basically, you are paid $1 per month, per domain, that is registered in your 5 level network. A uni-level compensation plan is the most simple plan in network-marketing to make money online, and the key to our quick growth.